Soccer is generally thought of as a liberal sport for flouncy suburbanites too effete for football. It’s been insulted by great lawmakers like Jack Kemp and esteemed political theorists like Ann Coulter. Still, conservative, patriotic Americans can surely rally around the play of the US National Teams - er, well, even if they aren’t in the World Cup, America’s great allies are in the tournament and one of them winning the trophy would be just as good as the Stars and Stripes doing it. So put on your MAGA hat and get to know which of America’s friends to support in Russia. We already have some shared values. The country fighting a war in Yemen with weapons bought from the USA killing hundreds of thousands of civilians and causing a famine that may end the lives of a million people. Plus they’re rivals with Qatar, the country that stole what was rightfully America’s when they won the right to host the 2022 World Cup. Sure, the Saudi royal family had links to Osama Bin-Laden and helped finance ISIS, but they also supported the US in Iraq and Afghanistan and look at how well that turned out. Everyone knows that only the United States gets to be all hyper protective and nationalistic about the land they stole from the people that stole it from the other people who were already there. USMNT fans are extremely secure in one thing as a Soccer Nation, their relationship with Mexico as rivals. As a country that took over half of Mexico’s territory after the Mexican-American War of 1848, it is only natural that USMNT supporters should extend that Manifest Destiny as soccer fans and support Mexico in the World Cup. It is almost as if the USA is in the tournament by proxy. Plus, backing Mexico would enable US fans to support a team that can win more than one game in a World Cup for the first time in 16 years. One Nation, One Team indeed! We are certain he would get along with those, "Fine people," in Charlottesville, as the President of the United States called them. A reactionary country isolating itself from the rest of the world that blames foreigners and racial, ethnic, and religious minorities for all of its social problems that is fixated on the number of its citizens who play in its domestic league relative to the number of international players in it? Sign us up! There’s the added benefit of probably being able to locate some long lost relative from the hamlet of Cleeve, Somerset or Godric’s Hollow that will enable Americans to claim an authentic link to the country. This person would feel right at home at a Cleveland Indians or Washington Redskins game. Ah yes, France. The country that gave America a navy and financial backing so that they could win independence from Britain all by themselves. France, with its socialism and odd fixation on giving its citizens a good quality of life, seems like a strange country for Americans to support. However, France is a country that should appeal to soccer fans that are new to the sport. While most soccer supporters in the US fashion themselves as liberal pseudo-anarchists what with their flags and cool smoke flares, France offers Americans on the right of the political spectrum a unique opportunity to identify with being able to support a country with a loud and increasingly popular xenophobic segment of the country that proclaims grievances about the diversity of its national team as an indication of something that French culture has lost to its formerly colonized people at the expense of traditional Frenchmen who seem fated to one day suffer at the hands of would be "white-genocide" conspirators. It's just like a young Republicans convention. 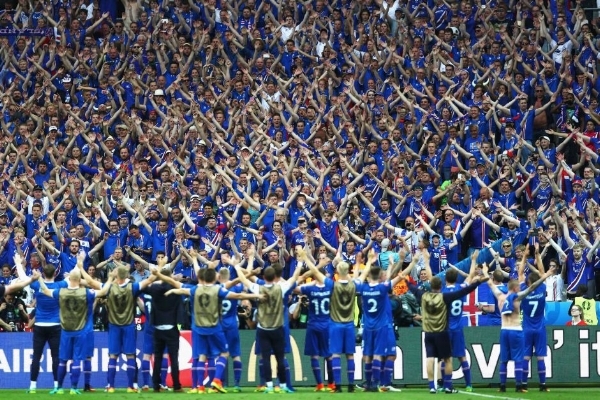 While more of a former ally after the Keflavik air-base closed at the end of the Cold War, Iceland is a model country for many Americans that fantasize about creating an ethnically homogeneous national team while crediting that aspect of the island’s soccer success without understanding the massive public infrastructure and social values around sports that helped Iceland reach the World Cup for the first time. But don’t think about that, just do the viking clap, it’s fun! I BELIEVE THE TAPE IS REAL! Say “Здравствуйте” (hello) to the brothers in excessive nationalism, failed invasions of Afghanistan, a deeply ingrained history of racism, and enforced military parades through the capital! How could America not love a country that interferes in elections, assassinates political dissidents, harasses journalists, and invades countries under dubious justifications for human rights and security? An authoritarian ethno-state might be the best fit for any fan looking to support a new national team this summer. And look, friend, if none of these ideas work for you just remember you can always just watch football, soccer is for cucks.